Lawyer Abid Qureshi could become the first Muslim federal judge. President Obama nominated Qureshi for an open seat on the federal court in Washington, D.C., on Tuesday. Over the past seven years, Obama has appointed 138 women and 120 minorities to federal judgeships. He has made this judicial diversity a “major priority” throughout his time in office, says former White House Counsel Kathryn Ruemmler, who now works with Qureshi at the D.C. law firm Latham & Watkins. “Having judges who are reflective of the nation as a whole just brings public confidence into our court system,” Ruemmler says, explaining the president’s thinking about these selections, which require Senate confirmation and are held for life. American Muslims have served as judges at the state level, but never as a federal judge, says Farhana Khera, executive director of Muslim Advocates, a national legal advocacy group. “This is a very, very exciting time, and we are just so thrilled that the president took this step,” Khera says of Qureshi’s nomination. Qureshi, born in Pakistan and now a U.S. citizen, graduated from Cornell University and Harvard Law. He has spent his entire career at Latham & Watkins. 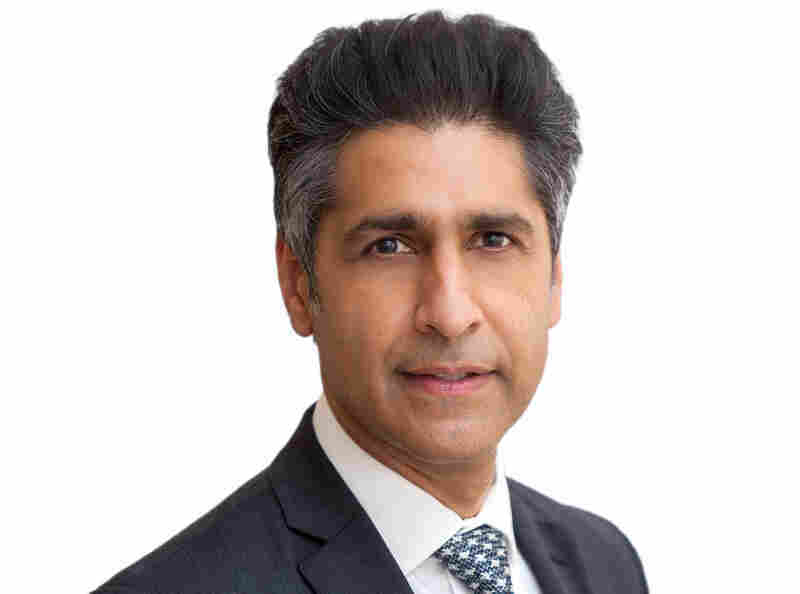 The National Law Journal says Qureshi’s clients include a student loan servicing company, a pharmacy giant and the Hospital Corporation of America. He also represented a private school with ties to the Saudi Arabian government in a case before the National Labor Relations Board. The dispute centered on whether the board had jurisdiction over the school’s decision to fire a teacher. Qureshi cast the case as a matter of religious freedom — and he won. Friends say he is passionate about donating his time to good causes. Some of those pro bono projects have been colorful. Khera of Muslim Advocates points to a case her group handled with Qureshi as co-counsel last year. They represented two American Muslim comedians who had been told they could not run ads for their movie in the New York subway system. The comic documentary, The Muslims Are Coming, was designed to counter negative stereotypes. Qureshi once again prevailed in the case. As CBS New York reported at the time, a federal judge sided with comedians Dean Obeidallah and Negin Farsad about their free speech rights, and the ads ran in the subway. The question now is whether the Senate has enough time and interest to hold a hearing and confirm Qureshi in this presidential election year. 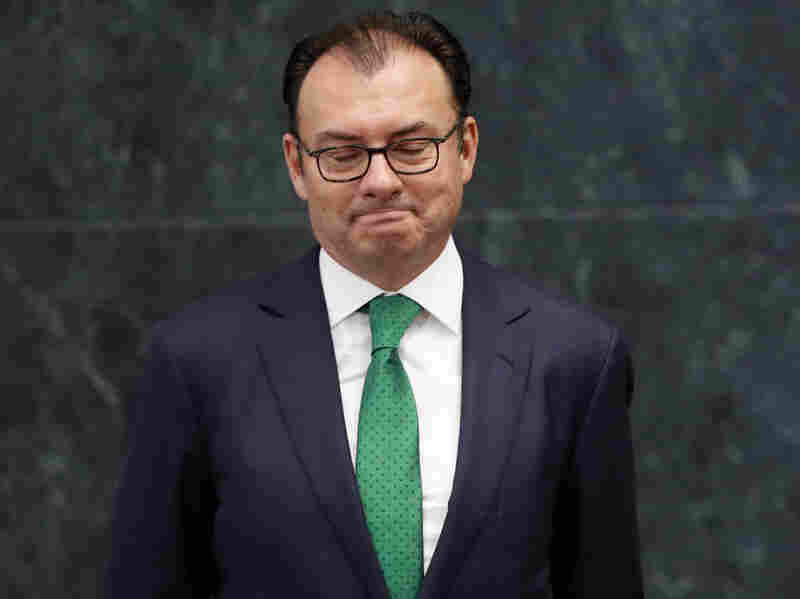 Luis Videgaray, Mexico’s M.I.T.-educated minister of finance and confidant of President Enrique Peña Nieto, has resigned in a move widely seen as fallout from Donald Trump’s visit to that country last week. Peña Nieto made the announcement in Mexico City, but he gave no reason for the change, nor did he say whether Videgaray, a key aide since 2005, would receive a new post. According to the Associated Press, Videgaray was the “architect” of Trump’s visit to Mexico. The Republican presidential candidate is wildly unpopular there, given his characterizations of Mexican immigrants in the U.S. as “criminals” and rapists” and for insisting that Mexico pay for a border wall. Peña Nieto himself has come under heavy criticism for inviting Trump and then appearing deferential to the candidate. The move was fraught with political hazards for Peña Nieto from the start. The Washington Post reports that the Mexican president’s own cabinet was “deeply divided” over the Trump invitation and that Foreign Minister Claudia Ruiz Massieu opposed it. ” ‘The political cost [of the visit] was extremely high for Peña Nieto, and he was obliged to find someone to blame,’ said Alberto Arnaut, a political science professor at the College of Mexico, explaining the minister’s departure. Leaving aside Peña Nieto’s problems, Videgaray’s resignation is a sharp setback for an economist who looked to be a possible nominee of the ruling Institutional Revolutionary Party, or P.R.I., for the Mexican presidency in 2018. Videgaray was Peña Nieto’s campaign manager in the 2012 election. As finance minister, he led Peña Nieto’s efforts to reform the Mexican economy. His successor is Yale-trained economist Jose Antonio Meade, who held the post of finance minister under the former president, Felipe Calderon. The long-running speculation about the new features on the phone proved largely true. The 7 and 7 Plus, for sale later this month, look very much like the 6 and 6 Plus, though ever-so-slightly lighter — and, yes, without a headphone jack. Instead, new phones will come with special adapters that plug into the same port as a charging/data cord. 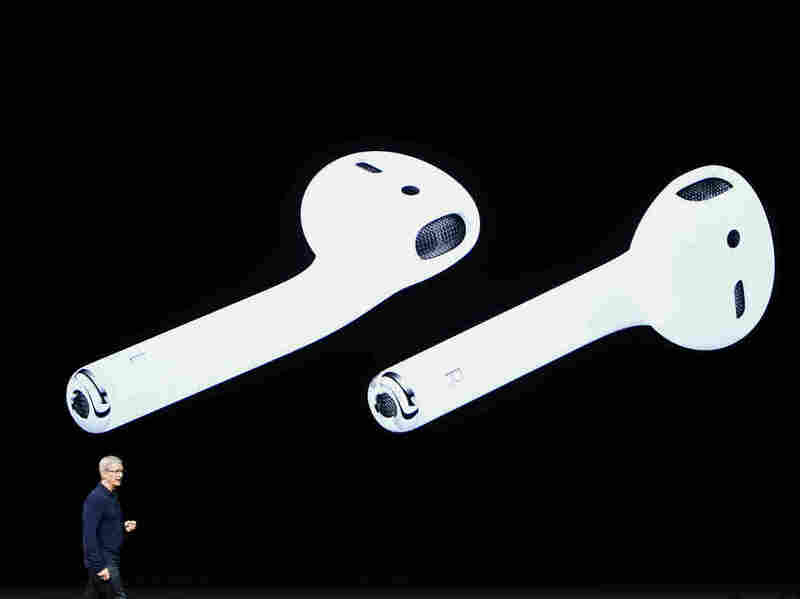 But what Apple really wants you to do is buy its new $159 product: AirPods — wireless headphones that look like the buds of the regular Apple headphones but cordless — for an “effortless and magical listening experience,” as Cook put it. These changes may seem like a far cry from significant iPhone overhauls Apple had done in the past to encourage users to buy a new device every two years. Some observers had argued this is a sign of iPhone’s maturing as it approaches its 10th birthday. 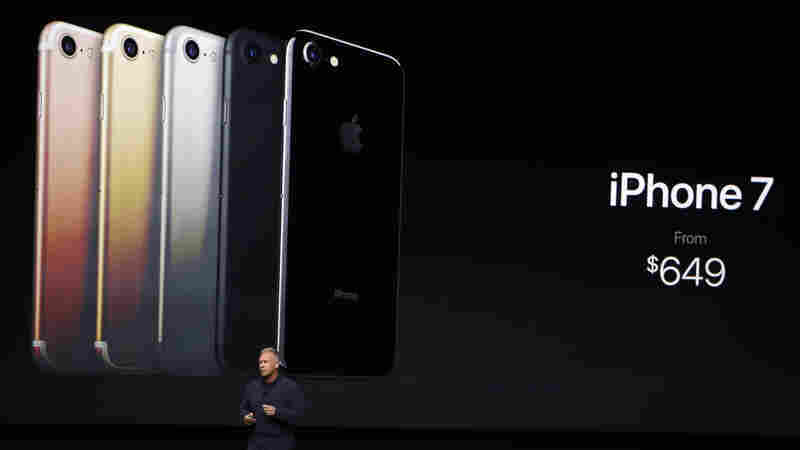 But Forrester analyst Julie Ask argues the iPhone 7 will pick up momentum after a possibly lukewarm response. “Consumers underestimate the engineering feats that the iPhone 7 brings, like the audio, camera, processing power, etc. in such a small package,” she said in a statement. Shipping in mid-September, the new phones are priced starting at $649 for the iPhone 7 and $769 for the iPhone 7 Plus, which has a bigger screen. They will also start with a higher memory capacity of 32 gigabytes, as Apple gets rid of the 16GB option. In other releases, the company unveiled a “Series 2” of the Apple Watch that is waterproof and includes a GPS — an appeal to the workout market of runners/hikers/bikers/swimmers/surfers, where the watch has faced persistent competition from other wearables. The watch also gets in on the Pokemon Go craze of the summer with a game adaptation specifically for the device. But perhaps a bigger gaming piece of news came from Nintendo, which announced that Super Mario is finally coming to the app store. Shigeru Miyamoto, known as the father of Mario, took the stage to announce a new game called “Super Mario Run,” which you can play on the phone with one hand — “while eating a hamburger or eating an apple,” as Miyamoto said. Shares of Nintendo, which as The Verge points out “has been slow to bring its iconic characters and games to smartphones,” jumped on the news. Apple’s shares didn’t see major gains. The Dominican Republic has identified nearly 1,000 pregnant women suspected of being infected with the Zika virus. Haiti, which shares the same island, has identified only 22. “There’s no reason to believe that the mosquito will behave differently here [in Haiti] than in the Dominican Republic,” says Dr. Jean Luc Poncelet, the World Health Organization’s representative in Port-au-Prince. Why are the numbers so dramatically different? Dr. Louise Ivers, with the nonprofit Partners in Health, which runs the largest teaching hospital in Haiti, is concerned that Zika is spreading as a silent epidemic. Indeed, Haiti has all the ingredients for a major outbreak. The Aedes aegypti mosquito, which carries the virus, is widespread. Open sewers and ravines covered in trash provide ideal breeding grounds for the mosquitoes. A doctors strike over the past four months — it just ended — pushed the public health system into crisis, making it less likely that health care officials would pay attention to Zika. Poncelet says part of the problem is that the country doesn’t have the resources to test extensively for Zika. 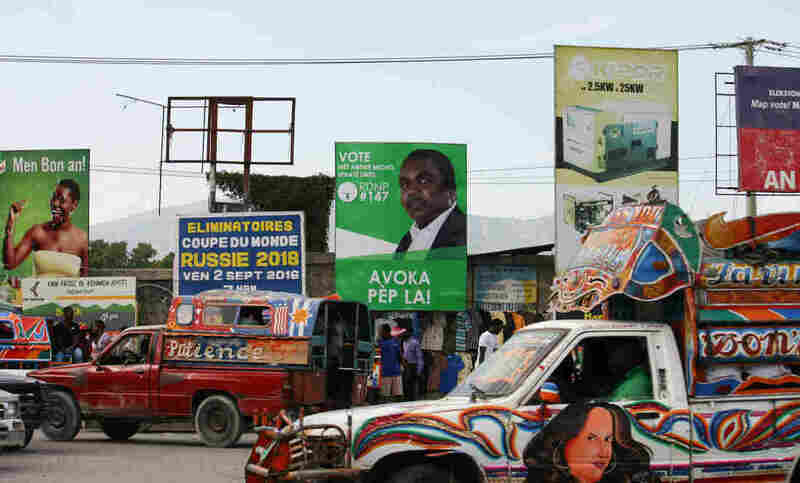 Haiti is also in the midst of a political crisis that has left it without an elected government since February. And it faces numerous other health issues, including a cholera outbreak that has sickened 25,000 people this year alone. Meanwhile, the effects of Zika are apparent, even though the nation is reporting only a handful of confirmed cases. Doctors at public, private and religious hospitals say they’re seeing an increase in babies born with microcephaly — a condition that the World Health Organization has linked to Zika — as well as a spike in Guillain-Barre syndrome, a condition that can spring from Zika. Haiti has few services for people with disabilities so it’s unclear how the country will be able to cope with a surge in severely disabled children. At the Mirebalais Hospital in Haiti’s central plateau, doctors say they’ve had four babies born this year with microcephaly — three of them in July. Dr. Ivers and Dr. Roman Jean-Louis are tracking the development of the children. Ivers checks the reflexes of a girl named Chinashama, who is on the examining table. “So this baby is much more muscle-toned than the other [microcephalic] babies,” she says. “She’s sort of fighting me, and the other really was not doing that much. But the girl’s legs cross unnaturally at the shins, and one foot doesn’t respond when Ivers runs her finger over the sole. The baby’s mother says the child cries almost all the time. Jean-Louis says he used to see perhaps one or at most two cases of microcephaly a year, but never three in one month. Ivers is concerned that Haiti is unprepared to care for babies suffering from severe developmental delays because of Zika. Life is already tough in the poorest country in the Western Hemisphere. Sixty percent of the population lives on less than $2 per day. And there are few services for children with physical and neurological disabilities. One of them is the Kay St. Germaine rehabilitation center in the Tabarre section of Port-au-Prince. Outside the gate, a mother holds a child with twisted limbs and a floppy neck. Inside, Annette Johansson, a volunteer from Sweden, is preparing for the start of the fall semester. The center provides physical therapy and basic education to children with cerebral palsy, Down syndrome, autism and other neurological disorders. Much of their work, Johansson says, is training parents to care for a disabled child. Haiti is an incredibly hard place to look after a disabled child, she says. Most of the families that bring their children to the center live in the poor sections of Port-au-Prince, with as many as four or five people in a one-room shack. The houses often aren’t accessible by paved roads or sidewalks, so they aren’t accessible to wheelchairs. Many of the parents bring their kids to the center in the beat-up pickup truck taxis known as tap-taps that barrel across Port-au-Prince and serve as Haiti’s main form of public transportation. “I don’t know if you’ve seen the tap-taps and how full they are,” she says. “And then imagine you’re going to try to get a disabled child into this.” She shakes her head as if the very thought of it is overwhelming. Just up the dusty dirt road from Kay St. Germaine is the St. Damien children’s hospital. It’s run by the same Catholic organization that runs the rehab center. The hospital administrator, Jacqueline Gautier, says disability is the leading reason kids are abandoned in Haiti. She can usually find homes for able-bodied kids, but the disabled children will most likely stay at the hospital for the rest of their lives. Her hospital has also had three babies born recently with microcephaly. They’ve sent blood samples to the national laboratory to test for Zika but haven’t yet gotten any results back. She’s hoping Haiti will be spared from Zika, that maybe it won’t be as bad here as in some other places. But she shrugs and says they’ll just have to wait and see. 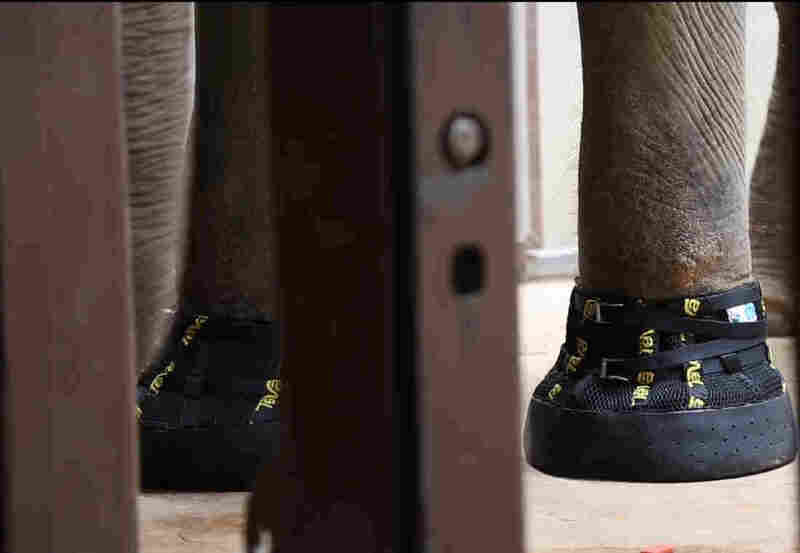 Veterinarians at Smithsonian’s National Zoo have turned to an unconventional therapy for an arthritic 41-year-old Asian elephant — shoes. 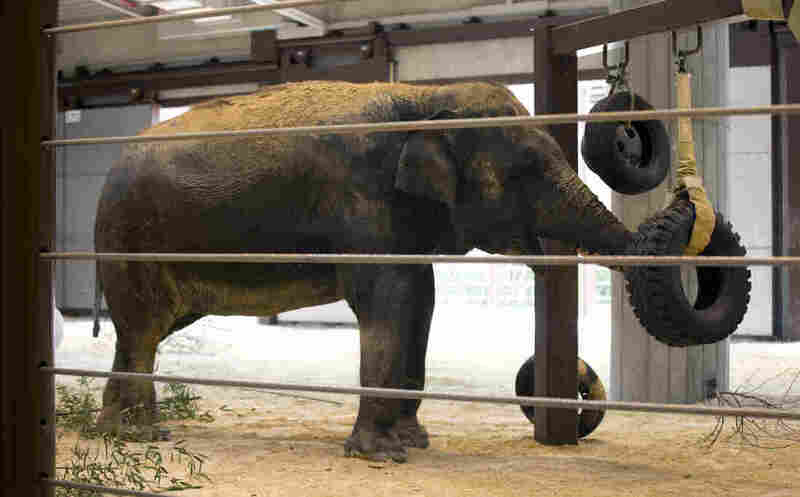 As a result, zoo staff have been “administering daily pedicures, medicated foot baths, and cold laser therapy” for several months now, according to a statement from the zoo. Impressed by Shanthi’s footwear? Wait till you hear her musical skills. In light of the news that Apple is eliminating a headphone jack from its newest iPhone, NPR’s Audie Cornish explores the history of the headphone jack with Jonathan Sterne, author of the book, The Audible Past: Cultural Origins of Sound Reproduction. Long jumper Lex Gillette was born with sight but became blind as a kid. But that didn’t keep him from pursuing track glory. Gillette will compete in this summer’s Paralympic games in Rio with the help of a guide. Anna Dewdney, author of a popular series of children’s books that included Llama Llama Red Pajama and Llama Llama Mad at Mama died this week at age 50. She was beloved for her writing as well as her illustrations. A report from the Department of Agriculture found a significant drop in hunger in the U.S. last year, especially among children. North Korea and South Korea maintain strict separation most everywhere in the world. Yet oddly, one of the few places they intersect is Laos, the small, communist nation that’s long had ties with the North and now has growing links with the South. “As strange as it sounds, Laos is kind of this remote battleground for inter-Korean politics or competition and diplomacy,” says Sokeel Park, research director for Liberty in North Korea, a private South Korean organization that assists North Korean refugees. Laos rarely receives international attention. But it’s in the spotlight this week as it hosts a gathering of the Association of Southeast Asian Nations, or ASEAN, which has drawn many heads of state, including President Obama. To find evidence of Laos’ longstanding ties to North Korea, look no further than the dining establishments. Laos hosts a North Korean-run restaurant in the heart of Vientiane, the capital of Laos. 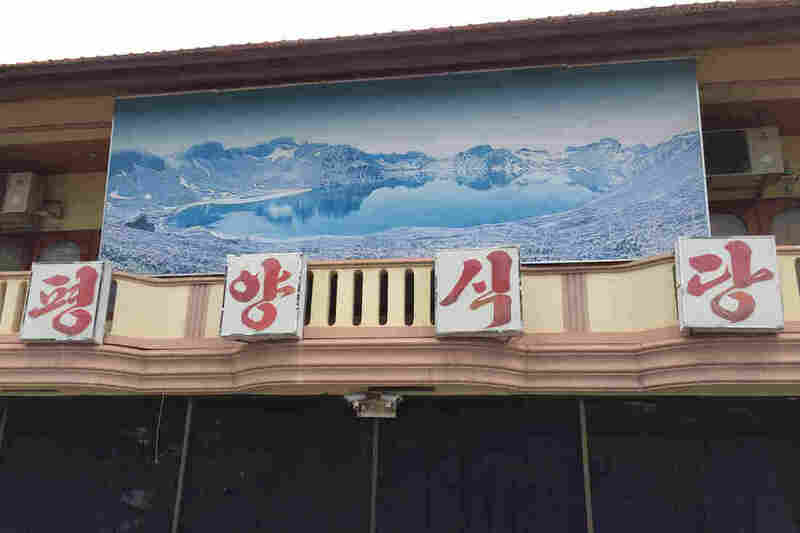 These North Korean restaurants are part of the regime’s money-making operations, a way for Pyongyang to earn hard currency abroad, since sanctions have increasingly cut it off from the rest of the world. “North Korea has had fairly close relations with Laos for several decades. They’re both countries that [are] at least nominally socialist or communist states,” Park says. Park’s work includes some dealings with Laos. It’s one of the countries North Korean defectors sometimes pass through on their way to a final destination, like South Korea. “Laos is one of the countries in Southeast Asia that North Korean refugees will go to out of China,” he explains. The vast majority of defectors cross from North Korea into China, rather than attempting to cross the heavily guarded inter-Korean border. So the North Korean-Laos relationship cuts both ways. It allows them to do business together, but it also means that North Korean defectors look at Laos as way to get out, and they know Laos is willing to look the other way. And in recent months, South Korea has stepped up efforts to drive a wedge between Laos and North Korea. North Korea’s nuclear test and missile tests brought a new round of international sanctions this spring. It’s also been an opportunity for South Korea to court Laos. South Korea has been sending diplomats, increasing communication and signed a new military-to-military agreement. All in hopes Laos will get tougher on its North Korean partner. “We think Laos and other countries previously friendly with North Korea have turned around considerably after the U.N. sanctions went into effect, and that they’re now supporting South Korea’s policies,” says South Korea’s Foreign Ministry Spokesman Cho June-hyuck. But the ties with North Korea endure. Laos is believed to be one of the few places left where North Korea can send its labor to earn cash. North Korean diplomats continue to visit Laos. And North Korean still runs these Pyongyang restaurants, playing patriotic North Korean karaoke songs. Haeryun Kang contributed to this story, from Seoul.